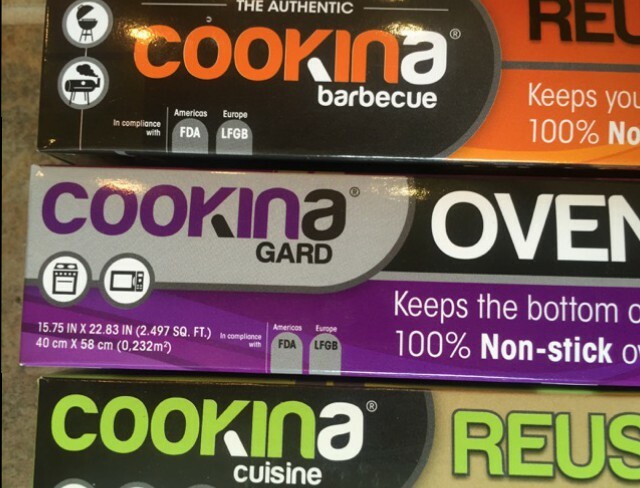 Last summer I had the opportunity to review the Cookina Reusable Grilling Sheet and found it a great tool to use to ensure your food did not either fall through or stick to the grill grates. Cookina recently sent me two more of their products to take a look at. First, this is my oven. Yes, we clean it. But invariably within days of cleaning, something bubbles over of spills and the bottom of the oven and it needs cleaning again. 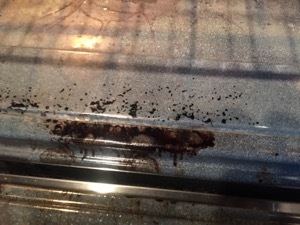 So either it is scrubbing while reaching deep into the oven, using really strong chemicals or burning though electricity like there is no tomorrow with the self-cleaning feature. Cookina to the rescue! 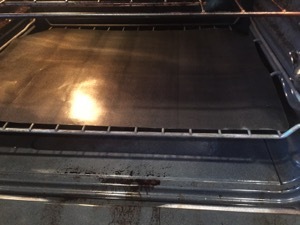 The Cookina Oven Protector is a 100% non-stick oven liner that saves the bottom of your oven from getting baked on crud all over it. Simply cut it to fit your oven, place on the bottom rack and forget about it. It is there when the spills happen to protect your oven. Simply pull it out, wipe it clean and place back in. 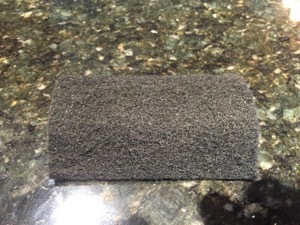 It does include a scour pad if you let the baked on stuff build up. Keep on top of it and you won’t need anything more than a bit of water. Cookina also sent along one of their Reusable Cooking Sheets. 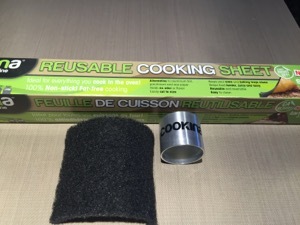 This reusable sheet from Cookina is also 100% non-stick and is intended to be used on your baking sheets. 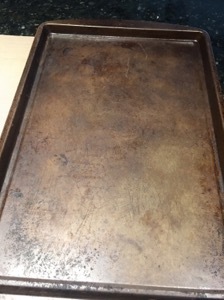 This is one of my well used and abused cooking sheets. Rumor has it was non-stick once. I think that went away in the Nixon administration. The Reusable Cooking Sheet was so big, I was able to cut it in half and it works for two of my sheets. I could have cut it to fit perfectly, but left it a little big to also work on a bigger sheet I have. 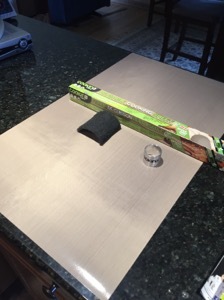 Use the sheet in place of parchment paper, aluminum foil or wax paper. 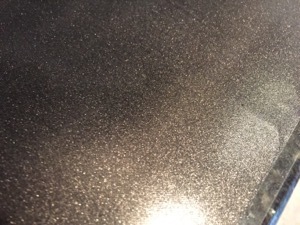 It is easy to clean up, easy to use and gives your old, beat up pans new life. 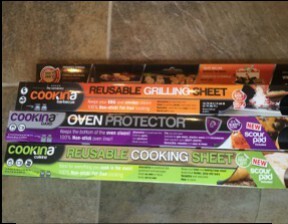 My Take: Like Cookina‘s Reusable Grilling Sheet, the Reusable Cooking Sheet and Oven Protector works just as advertised. 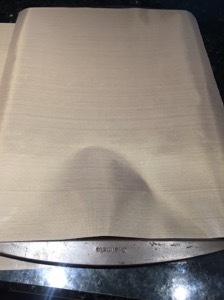 Whether they protect your oven or your baking sheets, the sheets are easy to use, even easier to clean and help your time in the kitchen a more successful one. 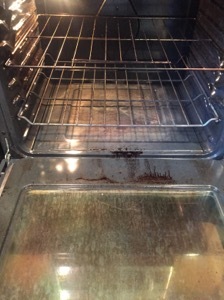 Never have to scrub your oven? Never have cookies stick to the pan? You betcha. 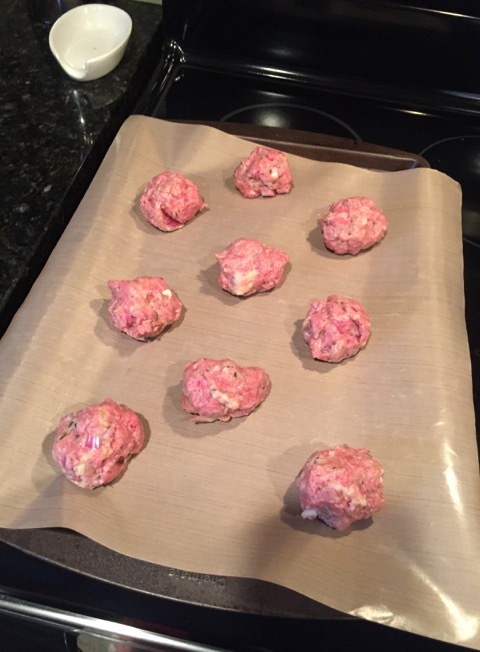 Check out the sheets from Cookina here. I bought the oven protector and it smoked up my oven and made an awful smell.